The town of Okotoks is situated in the Province of Alberta, Canada. The small town is surrounded by the magnificent Rocky Mountain, rolling hills and the Sheep River. In 2017 the development of an innovative, comprehensive long-range Environmental Vision and Environmental Master Plan (EMP) for the next 20 years commenced. Aiming to create strategies, goals and targets for a sustainable future, whilst preserving and enhancing the health of the natural environment while the community continues to grow was a key factor in the EMP development. What can we do to protect and enhance our environment today, and for future generations? This question was at the heart of the Environmental Master Plan. The town wanted to hear thoughts and ideas from the community. 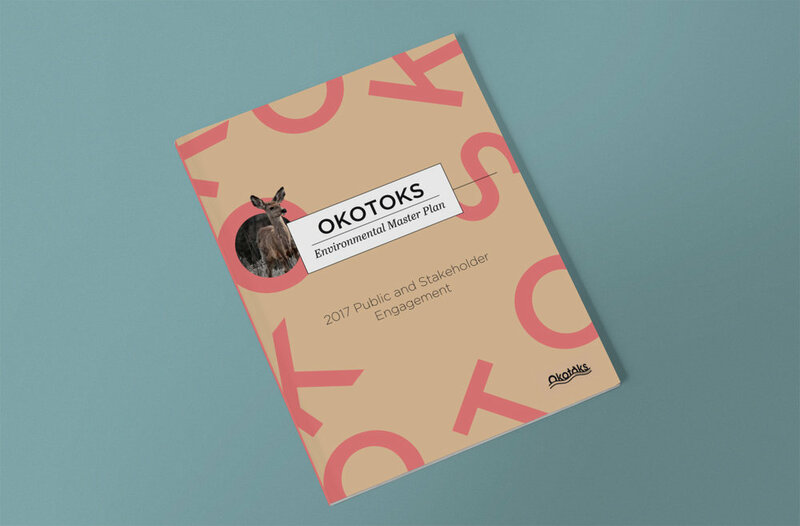 Allowing the Plan to focus on the most important actions to help protect and enhance Okotoks’ built and natural environment. A robust engagement process was undertaken over 12 months, between October 2017 and October 2018, which helped develop and finalize the plan. 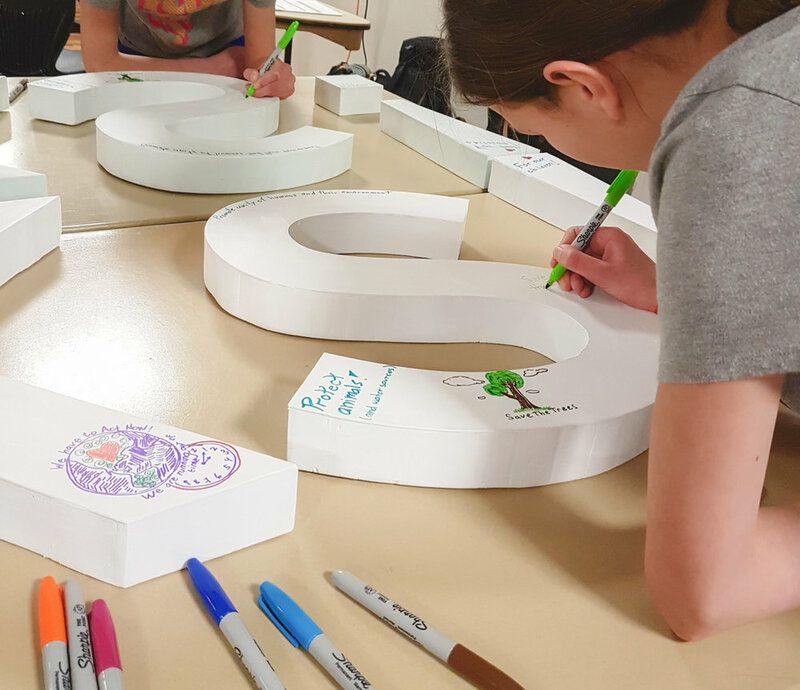 A fun, dynamic and colourful design was created to represent the town and the EMP. 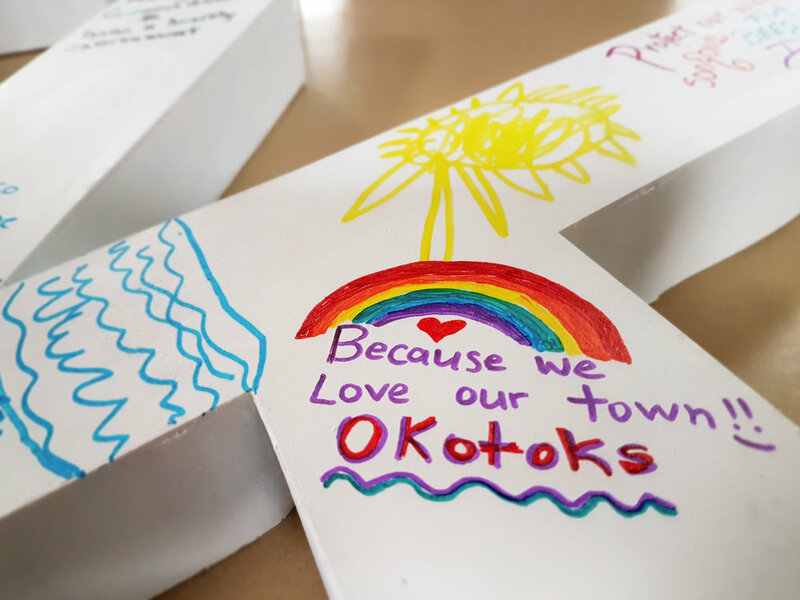 Large three-dimensional letters which spelled out ‘OK OKOTOKS’ were built. These acted as an invitation to the community to comment, share, create and engage in a discussion on the future of the town. 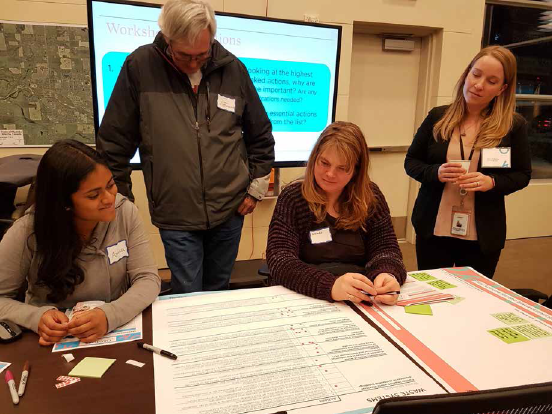 Over 1,000 residents provided input throughout the course of the engagement. Design by Femi Coppi. Creative Direction by Bonnie Retief.